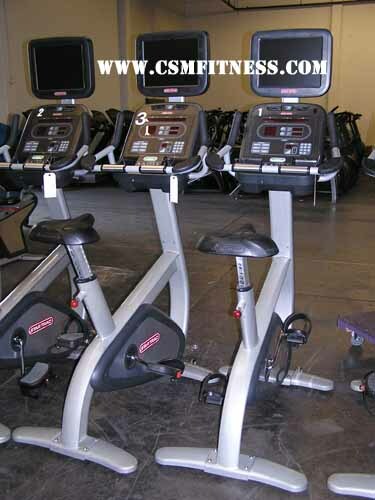 If you are looking for the highest quality upright bike experience, the Star Trac E-UBi Upright Bike has got it all. Each bike includes its own personal 15” personal viewing screen with iPod and USB hookups in order to provide each user the entertainment and drive they need to complete each and every workout. While choosing their workout, each user will have 10 programs choices including Dynamic Heart Rate Control, auto pilot, warm up and so much more. With its 20 levels of intensity and personal cooling fans users are able to get the workout they’ve always dreamed of along with the comfort and personal entertainment that each one has grown accustomed to. Without a doubt the Star Trac E-UBi upright bike is bound to wow and please each user in every aspect.